One hundred years ago, on 28 January 1916, the Manitoba Election Act was amended to grant women the vote. The decades-long Canadian campaign for female suffrage may have lacked some of the high drama of other similar campaigns, but the women who fought it were every bit as steely as their British and American sisters. Gabriola Players is thrilled to be telling their story this weekend. What Glorious Times They Had by Diane Grant begins in 1912, not long after the formation of the Political Equality League. Founding members of the League included the already famous author Nellie McClung (Margaret Litt) and the journalists Francis Beynon (Donna Deacon), Lillian Beynon Thomas (Joyce Ashley) and E. Cora Hind (Jean Wyenberg). Standing between the women of Manitoba and the right to vote was the Conservative Premier, Sir Rodmond Roblin (Joe DiCara). A man very much of his time, Sir Rodmond truly believed that nice women (whom he felt should be protected from the corrupting influence of politics) did not want the vote. And that is exactly what he told the delegation from the Political Equality League when they offered their case for female suffrage to the Manitoba Legislative Assembly on 27 January 1914. 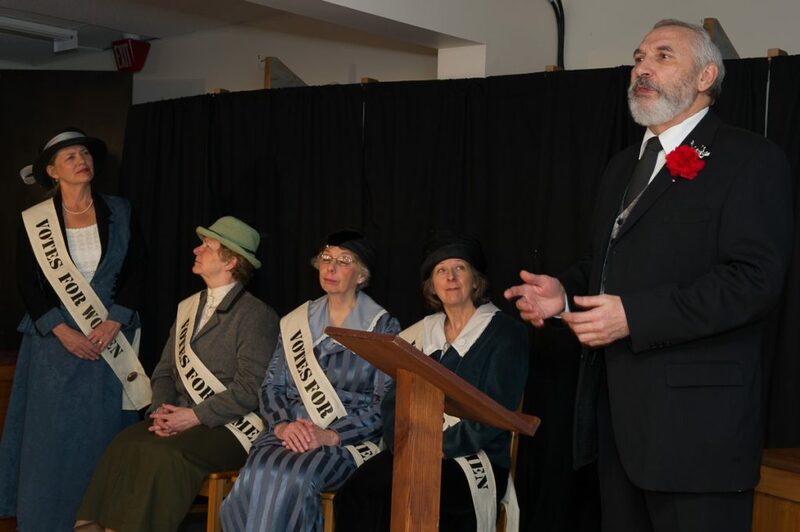 The following night the women responded not with brickbats, but with mimicry, staging a mock female parliament to shine a spotlight on the farcical nature of anti-suffrage arguments. Nellie McClung’s mocking and condescending portrayal of Roblin was particularly well received.